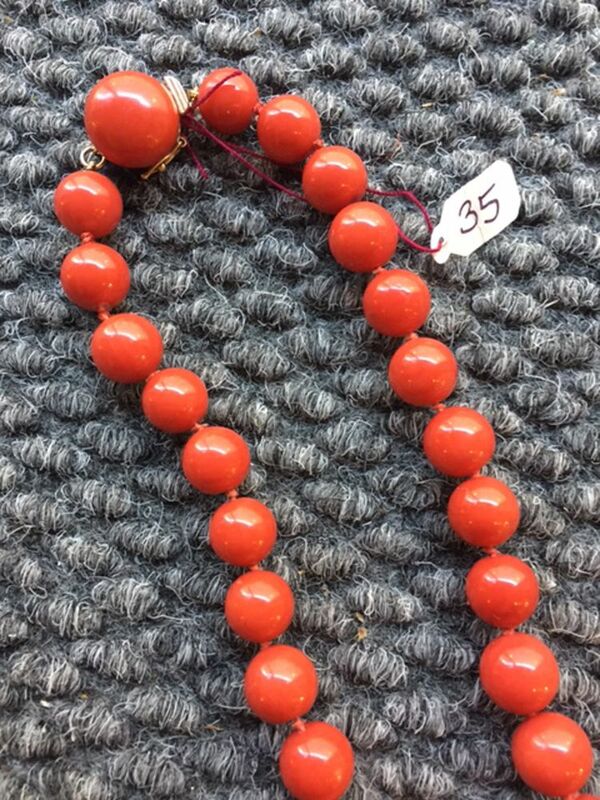 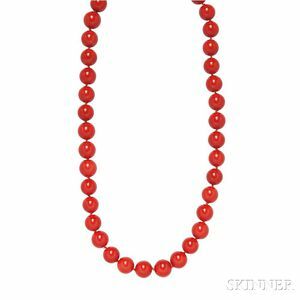 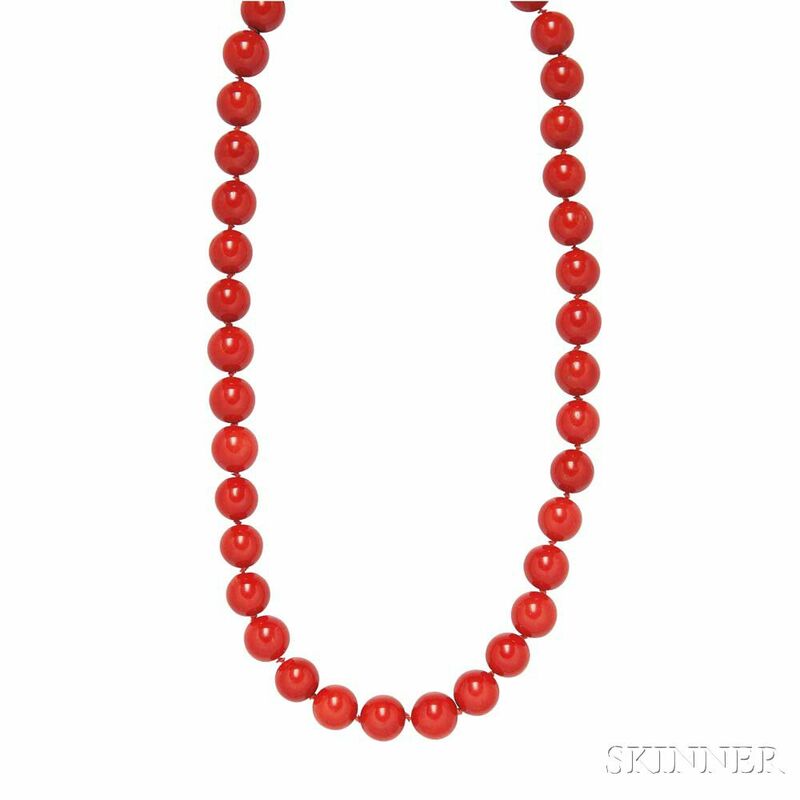 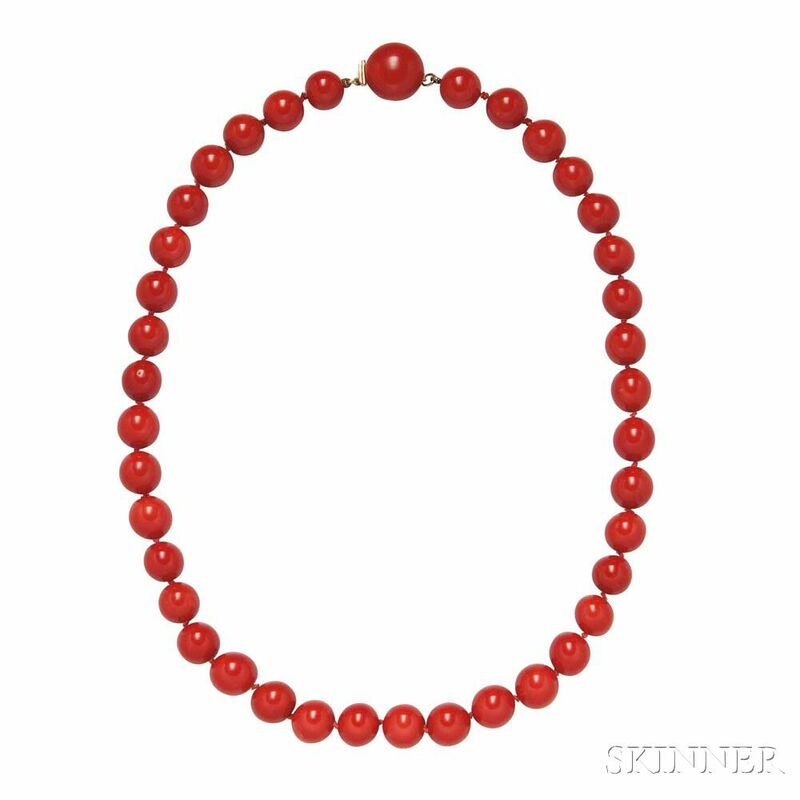 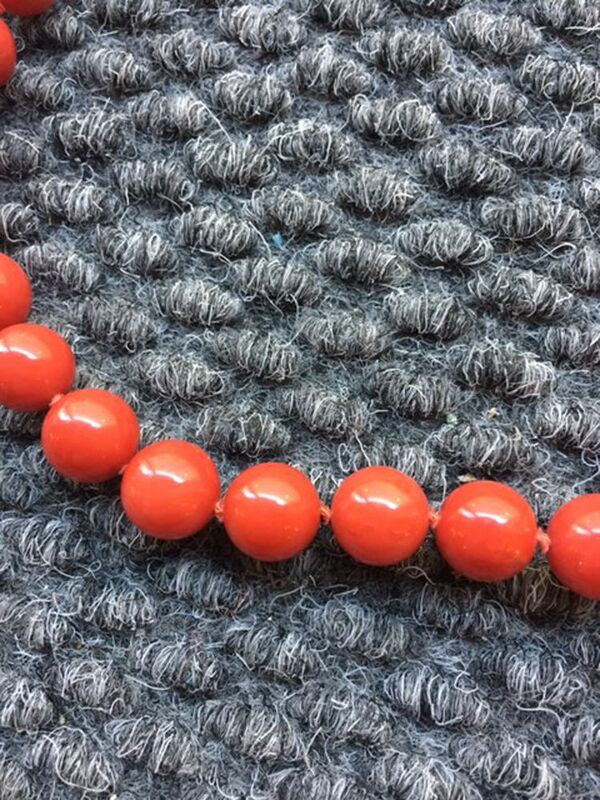 Coral Bead Necklace, composed of thirty-eight beads graduating slightly from approx. 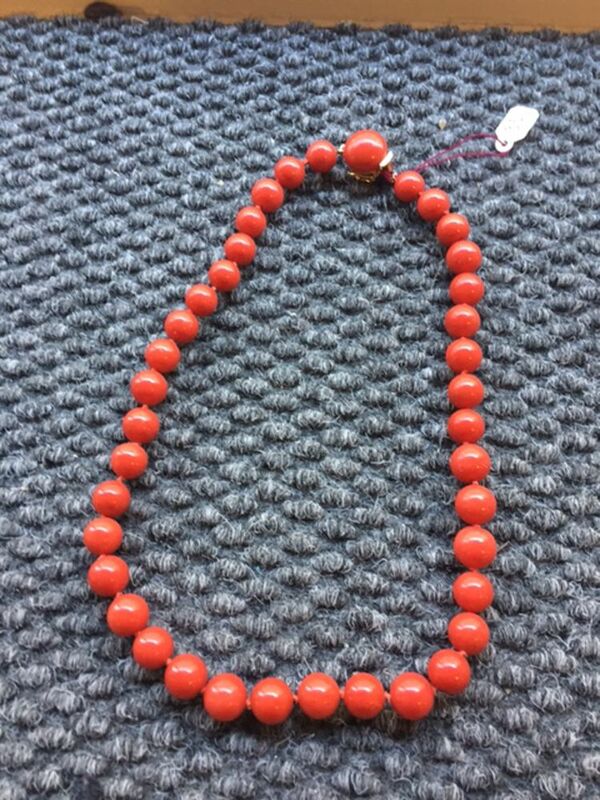 10.50 to 11.00 mm, completed by a 14kt gold clasp with button-shape coral, lg. 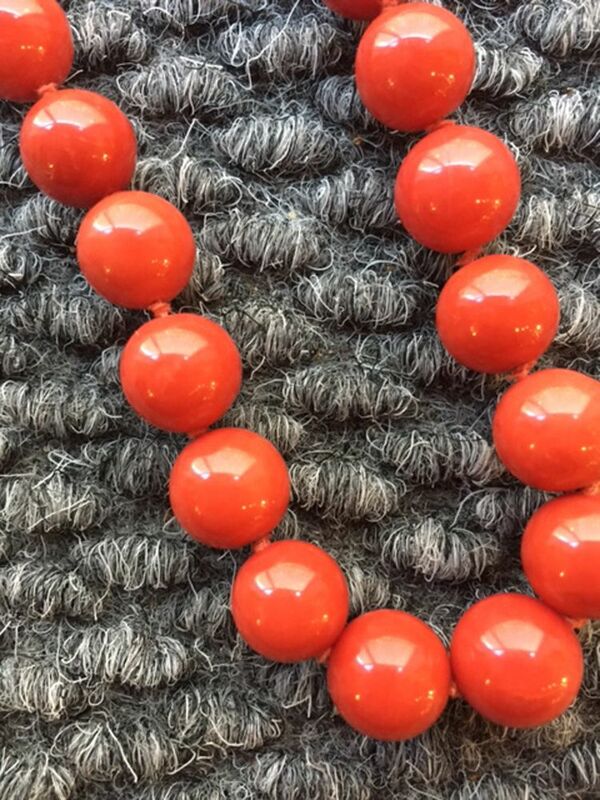 18 1/4 in.